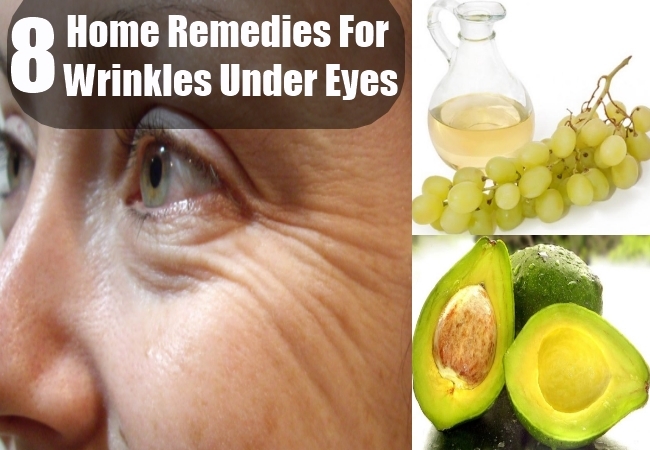 [toc]There is no doubt that the under eye wrinkles along with sagging skin in the eye area are a big problem. It makes you look and feel older. These wrinkles occur as the skin around the eyes get thinner and more delicate with time.This happens because of lack of appropriate skin care and of course hectic lifestyles, excess exposure to the sun, poor diet and pollution. Wrinkles around the eyes are more easily seen on people who are very fair. 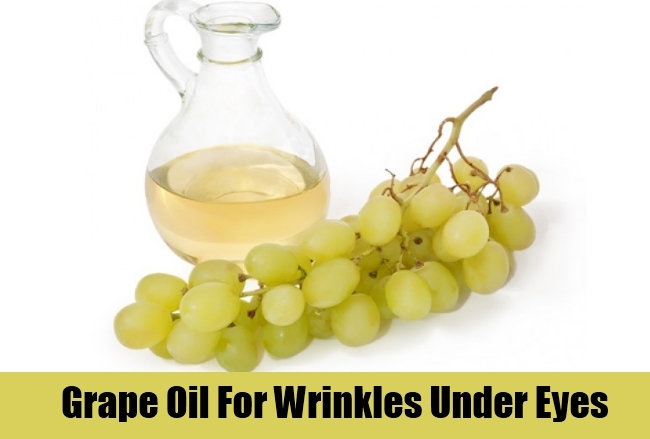 The grape seed or grape oil is known for its rich nutritional properties. It moisturizes and nourishes the skin and helps in better management of the skin layers, especially the epidermis around the eyes. In fact, it also helps in getting rid of scars around the eyes. The fruit is very rich in anti-oxidants including proanthocyanidins, which are known for reversing aging along with rejuvenating the skin cells. All that you have to do is take the oil and apply it on the area around the eyes, especially under the eyes. This will keep the epidermis moisturized and thus minimizes the risks of more wrinkles, while repairing the earlier ones. 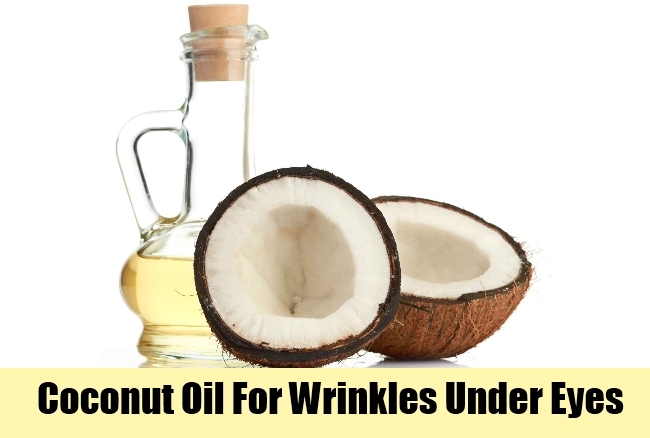 The oil of coconut along with its milk or cream is known for combating wrinkles in this sensitive area. As one grows older, the skin around this region becomes dryer and thus leads to wrinkles. But with the coconut oil and milk, you can actually reverse these wrinkles and improve the layers of the epidermis to their youthful self. All that you have to do is take the cream or oil of coconut and leave it around the area for a few minutes. Then wipe it off using a wet cotton. This should be done for at least 3-4 weeks for beneficial results and then continued henceforth. 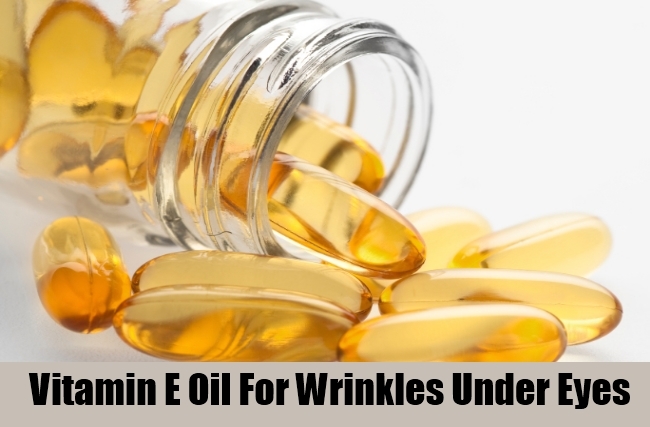 Vitamin E based oils and creams are a great way to avoid wrinkles. What this oil does is that it thickens the layer of the epidermis, which is only getting thinner with time. Being very thick in consistency, it also helps in hydrating these layers and thus penetrates deep within. The wrinkles become less visible with time and also prevents them from happening in the future. Also, being rich in anti oxidants, the oil is beneficial for getting a glow too so apply on the entire face. You can apply the oil before going to bed and let the skin rejuvenate as you sleep. Or you can leave it on for an hour or so and then wipe it off or wash it off. 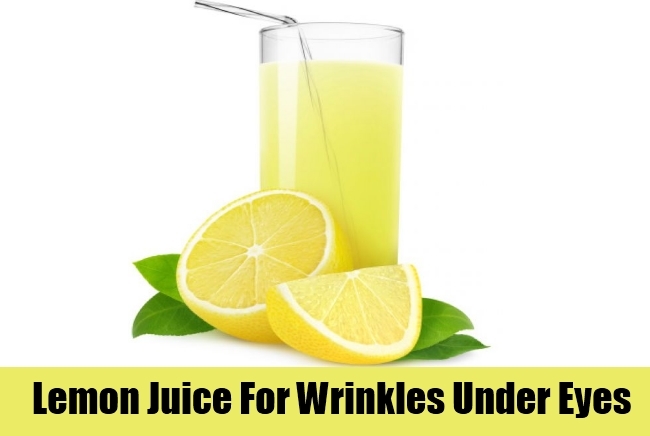 The juice of lemon or even orange has been used for centuries to keep skin glowing and keep wrinkles at bay. Basically the juice is rich in anti oxidants, which helps the skin replenish itself. You can use the juice from the natural fruit, because it is free of preservatives and sugars. Apply it on the required area and leave it on for about 30 minutes. You can also mix it with some vitamin E oil and apply during the colder seasons. The goodness of the avocado is not restricted to the diet alone. 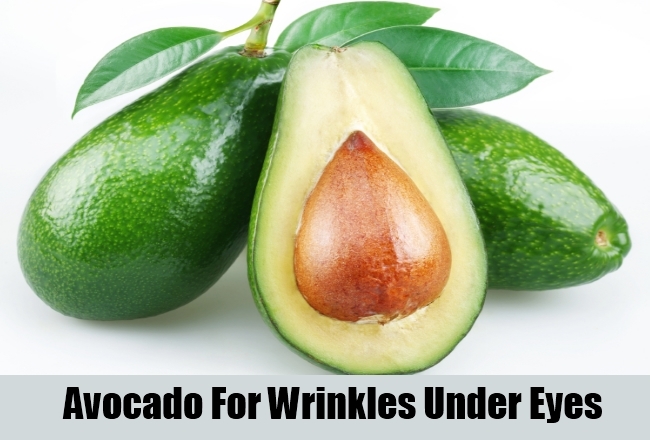 The avocados penetrate deep into the layers of the skin and provide deep nourishment. This prevents wrinkles from recurring and also combats and diminishes the signs of the ones that exist. Here you simply need to scoop and mash some avocado and then apply generously on the eye area and the face. You can add some oil or lemon juice to this for getting a better glow and keeping wrinkles away around the eyes. Since the skin around the eyes area is very delicate, you also need something that tightens the same, without being too harsh and egg whites are perfect for this. 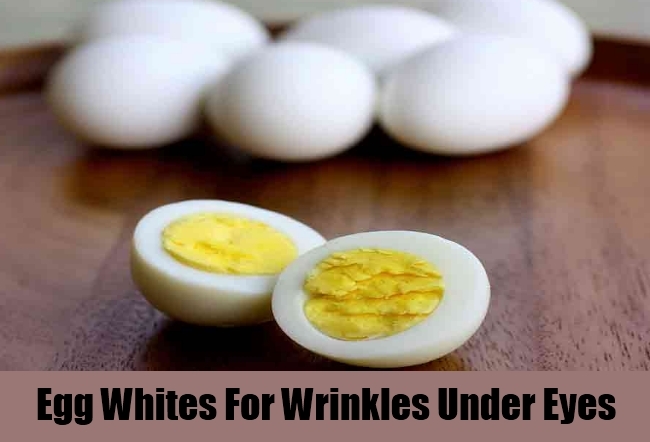 Egg white has tightening properties that helps in preventing sagging skin, repairs wrinkles and also provides nourishment. Pamper the skin around the eye area by applying a pack of egg whites with some oil or lemon juice. Then let the pack dry naturally so that it tightens the skin and prevents sagging. This can be applied all over the face and also on the neck and arms to get great skin. Another solution here is to apply egg whites with sandalwood paste or oil for additional glow. Improvement and results are visible in less than two week;s time. This one has been around for centuries now and has been used in salons and facial too. Take some slices and place them on the eyes. 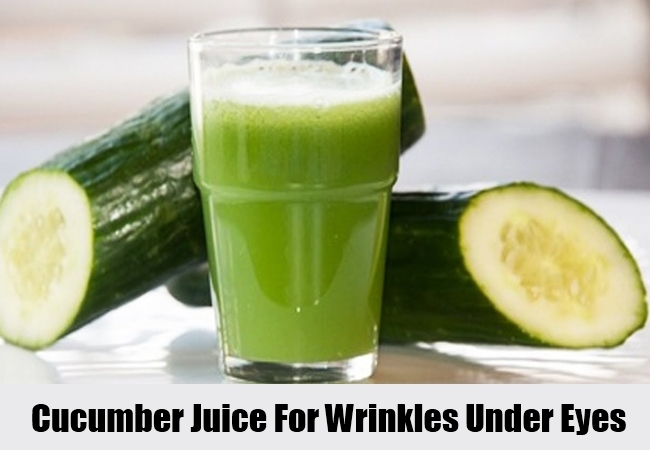 What you can also do is take the juice of the cucumber and then apply the same over the entire eye area. It has a cooling and refreshing effect on the skin, reduces inflammation and swelling, while preventing the advent of wrinkles. You can apply the same with your hands or even use a cotton ball for dipping in the juice and then spreading the same across the entire area. improving hair quality, this multipurpose, thick oil is also a great way to combat skin wrinkles. 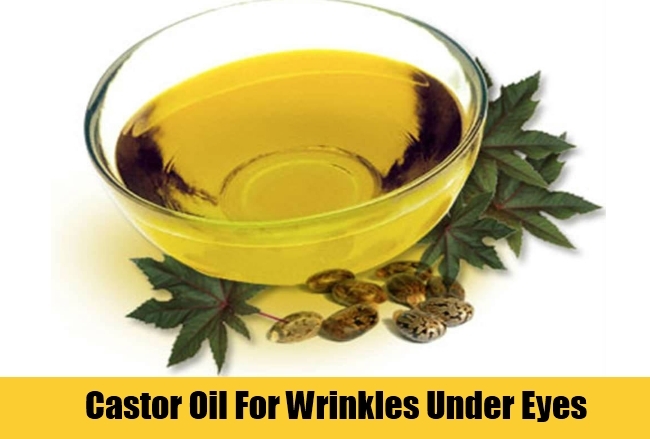 Just take some drops of the castor oil and then spread it around the eyes, especially under and on the sides, which are more prone to wrinkles. The oil will help in making the epidermis smoother, while providing more flexibility along with decreasing wrinkles. Do this once daily and keep repeating for at least 10-15 days for best results. Once the wrinkles are almost gone, apply the same at least twice a week to keep the wrinkles at bay. With these remedies you can combat the early advent of wrinkles and minimize their appearance in the long run. Of course, make sure that you eat healthy and sleep well too. And all of this, without expensive beauty treatments or creams!